Chicago mayor Rahm Emanuel says two venerable State Street office buildings will be redeveloped as part of a $141 million residential and retail project by CA Ventures. The vacant century-old federally-owned buildings at at 202 and 220 S. State St. were made available through a Request for Proposals process initiated by the Chicago Department of Planning and Development and the General Services Administration (GSA) this spring. CA Ventures’ plan for their adaptive re-use will enhance the ongoing renaissance of the Loop’s historic shopping corridor. 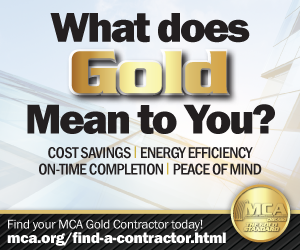 The approximately 350,000-sq. ft. project includes a mix of exterior and interior restoration and new construction. The 22-story Consumers Building, designed by Jenny, Mundie & Jensen and completed in 1913 at 220 S. State, will be rehabilitated as approximately 270 “micro” apartments. The 16-story Century Building, designed by Holabird & Roche and completed in 1915 at 202 S. State, will be rehabilitated and expanded as 159 furnished studio and one-bedroom apartments. 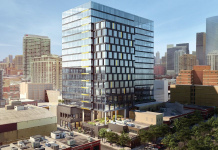 The current building at 212 S. State property will be demolished, and a 15-story structure will be built in its place as a connected addition to 202 S. State. The historic features of 214 S. State St. will be also be retained in a newly constructed two-story building on that parcel. Pending zoning approval by City Council, the project is planned to include a Neighborhood Opportunity Bonus payment of $4.38 million and a $5.65 million payment into the city’s Affordable Housing Opportunity Fund. The project will create at least 100 permanent jobs, in addition to 200 temporary construction jobs. “This transaction provides an important opportunity for GSA to find new uses for properties that are no longer critical to the federal government’s needs. 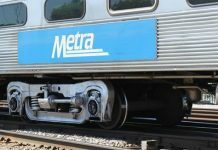 It will make better use of these real estate assets and help the City of Chicago continue to revitalize the State Street corridor,” said John Cooke, acting regional administrator for GSA’s Great Lakes Region. 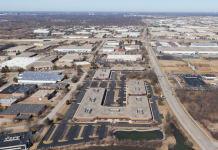 CA Ventures’ proposal to acquire the buildings for $10.38 million would involve a simultaneous, three-way transaction involving the GSA and the City of Chicago. The offer price and sale terms, expected to be finalized this summer, require review and approval by the GSA and Chicago City Council. CA Ventures includes developers J.J. Smith, Keith Giles and Joe Slezak, whose previous historic re-use projects include Chicago’s Old Colony, Gibbons-Steger, Crane and Roosevelt Hotel buildings. The project’s architect is Antunovich Associates. 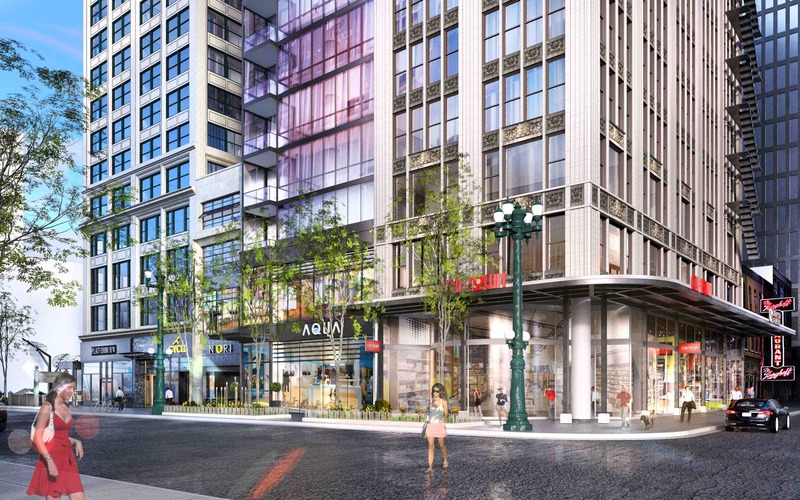 “The historical significance of the properties at 202-220 South State Street is just one reason we are so excited to be selected to bring new residential options to this vibrant part of Chicago’s South Loop,” said Smith, principal of CA Ventures. CA Ventures has committed to a diverse hiring plan with a goal of exceeding the city’s participation requirements of 26 percent MBE and 6 percent WBE. Listed on the National Register of Historic Places and located adjacent to the Dirksen United States Courthouse, the buildings were acquired by the federal government in 2007 as part of a planned federal center expansion that never materialized.